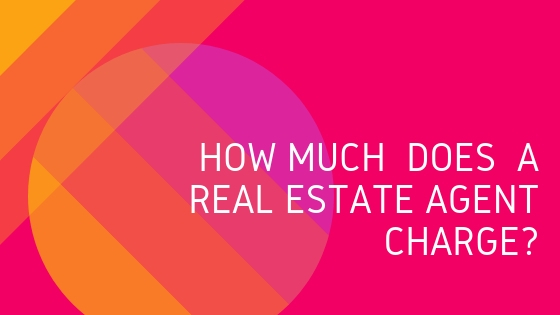 How Much Does A Real Estate Agent Charge? How Much Does A Real Estate Agent Charge To Sell A Home? Real Estate is a complicated playing field with so many considerations for both buyers and sellers. Have you considered selling your own home? Thought this might save you some money? Your not alone. According to the National Association of Realtors, the 2013 Profile of Home Buyers and Sellers research indicates that 92% of home sellers are more successful with selling their home when they hire a REALTOR®. Realtor fees maybe negotiated. During the interview process ask the real estate agent how much they charge to sell your home. As a seller you will typically pay the buyer agent fee and the selling agent fee. As a buyer, your agent will go over the compensation plan during the buyer presentation. Typically, the listing broker will pay the buyer agent commission fee. There are several compensation programs that are offered by the brokerage. Many real estate agents share their commission with a brokerage firm. The compensation programs run from 100 percent commission split model to a salary. The Sherman Antitrust Act, is a federal law that prohibits any activity or discussion related to price fixing. The brokerages will not openly discuss or post a commission fees, as this is a business decision based on services rendered.